If you get the opportunity to come to Australia, make sure to add Byron Bay as high priority to your itinerary. The endless summers, crystal clear waters, vegan eats and sustainable lifestyle that Bryon Bay brings, has kept us rooted to this paradise. To get your trip sorted, we wanted to share some of our favourite spots you have to see when you do visit. Main Beach / The Pass - This bay usually has soft waves and clear waters, perfect for sun baking and a cool relaxing dip. Tallows - On the other side of The Lighthouse you will find Tallows Beach, this is a prime surf spot and away from the usual tourist and backpacker crowd. Belongil - Just a little out of town, stop at Belongil for a swim or long walk along the shoreline, then head to the Treehouse for lunchtime pizza and beer. Walk or Run the Lighty - A local Byron Bay term for walking or running to the Byron Bay Lighthouse and back. See some stunning beaches and views on this nature walk whilst getting a seriously good workout. Byron Bay Community Market - One of the best community markets, showcasing some of the newest and upcoming designers, creatives and artists from the region. Open form 8:30am every 1st Sunday of the month, come early to avoid the late morning heat and grab some delicious snacks while you move through the rows of stallholders! Every time you support and buy from a small business, they literally do a happy dance (we sure do!) ! Habitat - Just a short stroll from the new solar powered train, Habitat is home to F45, Bende and Barrio. This shopping precinct also boasts store fronts by big names such as One Teaspoon, The Beach People, The Department of Simple Things as well as the Habitat collective of local designers. Festivals - Why not come to Byron Bay for a festival? Splendour in the Grass, Bluesfest and Falls Festivals includes superstars in their huge line up, year after year. From Kendrick Lamar, Khalid, Lorde, Queens of the Stone Age, and some legends like Lauren Hill, Lionel Richie, Joss Stone, Royal Blood, The Strokes, Seal and Buddy Guy. No Bones - If you want to impress a vegan, take them to No Bones. There delectable menu of vegan wines, cocktails, tapas and main plates will get you questioning if this is actually vegan. The clever “calamari,” “Duck” Pancakes and Mac and “Cheese” is to die for and I am not ashamed to say I have visited pretty much every week since they opened last year. Doma - Hidden out in the Federal hinterland, you will discover the best Japanese/Australian fusion cafe. Scattered wooden share-tables are set out in the courtyard, nestled under a canopy of drooping tree branches, which is rustic but cool. We recommend sharing plates of sushi, the chia crusted tofu salad and a miso soup. Yum! Byron Bahn Mi - My mouth is salivating just writing about this Bahn Mi takeaway. This little tiny eatery is tucked away from the big crowds in the town, but worth the extra 10 min walk for a delicious lunchtime treat. The compact menu is everything you need and the light, crispy baguette is crammed with the filling of choice - Tofu for me and topped with spicy chilli! Get there early as they usually sell out fast! Folk Byron Bay - Organic, ethical and plant based, Folk has become one of my favourite vegan spots to eat. Hidden on the outskirts of the Art’s and Industrial Estate, embrace the slow pace, good food and positive vibes of this cafe. Try there huge nourishing Buddha bowl, delish vegan brownies with a coffee or tasty smoothies before setting about your day. Sparrow / McTavish / Bun Coffee - Good coffee is a thing in Byron Bay. If you get a bad coffee somewhere, you’ll never return and everyone will know about it by the end of the day. You can find the best coffee spots at Sparrow in the town, or at McTavish or Bun Coffee in the Industrial Estate. Don’t forget your Keepcup as most of these places will give you a coffee discount for using it! Win! The Bolt Hole - My go to after work cocktail spot. Get the crew together and head there early to nab a seat overlooking the Byron Streets before watching the sun setting over the town. A whisky bar, they have the biggest selection of drink and the best Negroni we’ve had to date! The Northern - A classic old school pub in the heart of the Byron Bay town, home to the ‘Backroom’ which draws some of the biggest bands to play all year round. One of the oldest venues around, it has a speak easy vibe with a grungy edge. The Source - If you are trying to save some coin and prefer buying food to cook, make sure to take a trip to The Source to get all your basics. This waste free bulk foods revolution cuts out the unnecessary plastic waste from packaged food. Only buy what you need of your staples - nuts, beans, lentils and maybe treat yourself to a bag of yummy (vegan) chocolate covered macadamia nuts! 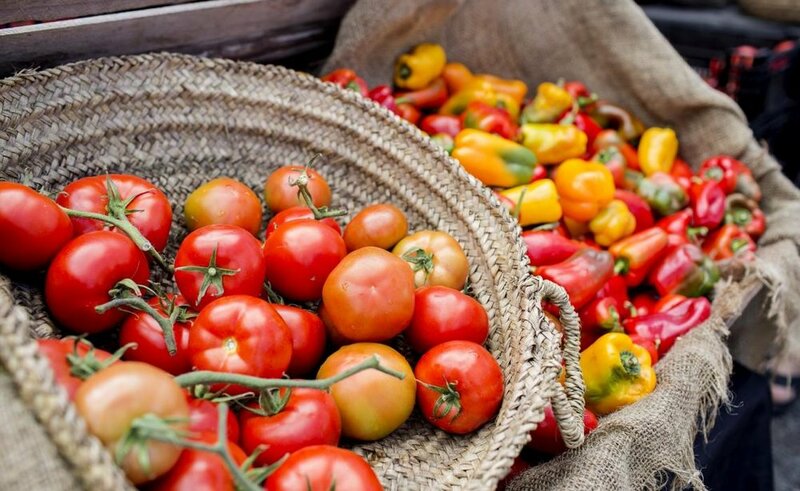 The Byron Bay Farmers Market - Thursday’s are market day in Byron Bay and you will find all the locals heading their bright and early to pick up there food shopping for the week. Everything is grown and picked by the local farmers in the area, which we love to support. Make sure to take your own reusable bags or basket, grab an organic coffee in your Keepcup and buy what you need! The Farm - Situated just outside Byron Bay, make sure you visit The Farm just to walk around the beautiful 80 acre working farm, see the big sunflowers, learn how they grow veggies and see the farm animals. The paddock to plate lifestyle is pretty big in Byron Bay and knowing where your food comes from is changing how we shop and eat, moving away from mass manufactured foods from the big supermarkets. Do not use Disposable Plastic - If you ask for a disposable plastic shopping bag, plastic water bottle, plastic straw or coffee cup, you will lose serious cool points and laughed out of the shop. 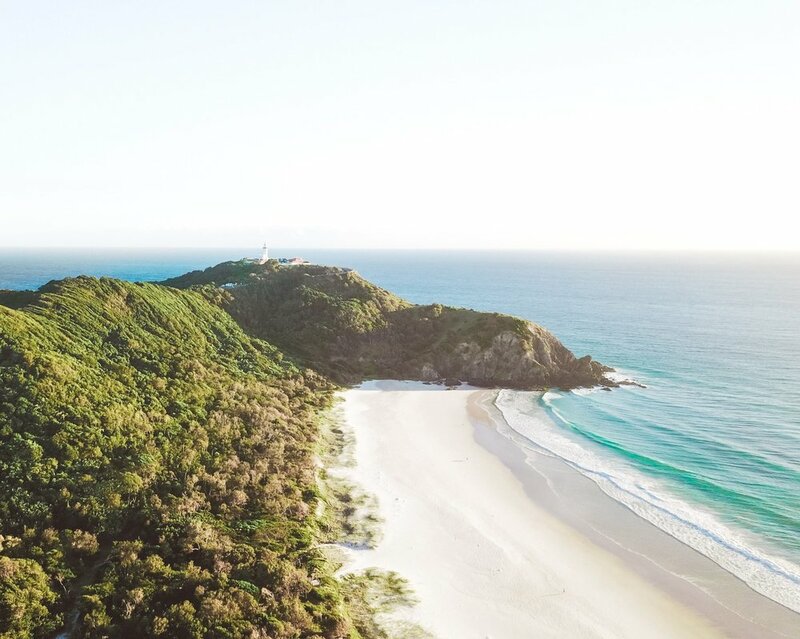 Byron Bay prides itself on a sustainable and ethical lifestyle and is one of the most forward thinking places in Australia. We innovate, design and create all whilst thinking about the environment and people around us. It has gone way past the ‘hippy’ vibes that it once was, it’s on trend, and a futuristic way of life and you will find some of the biggest brands with ethical credentials - Spell and the Gypsy Collective, Afends, Auguste the Label and St Agni doing a lot of good for the planet. We hope you take away these eco values with you for life and when you get back from your holiday. Do Not Leave Rubbish anywhere - It is awful (and disgusting) when you are walking along your local beach and you come across cigarette butts, plastic bottles and beer cans scattered on the sand. Left there for someone else to deal with. This is not ok. Treat the Byron beaches and Streets as you would your own home and keep it clean. Take home to recycle any rubbish you use and keep Byron exactly as you find it - a paradise!